Did you know that if Hershey’s kisses are placed on desk of secretaries in a clear jar consumed the secretaries will consume the kisses 46% more quickly than those in opaque jars. Also, People will eat 125 cal/day more if candy is on desk vs 6 feet away from where people do most of their work. It’s little bits of data like this that can make the difference between lost pounds or creeping obesity. Brian Wansink knows this and you can too. Check this out. It’s change the way you think of food. Manufacturers know, why shouldn’t we? 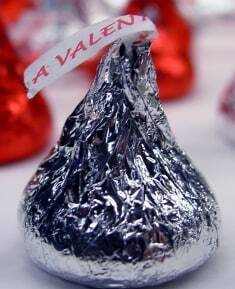 Tweet: Check your Kisses at the door OR keep your vegis close and your chocolate kisses in a drawer.